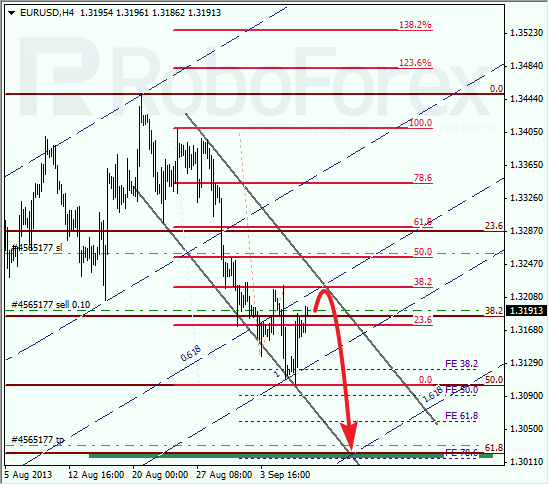 The EUR/USD currency pair is starting a deeper correction, the target of which is at the level of 38.2%. If the price rebounds from this level, the down trend will continue. 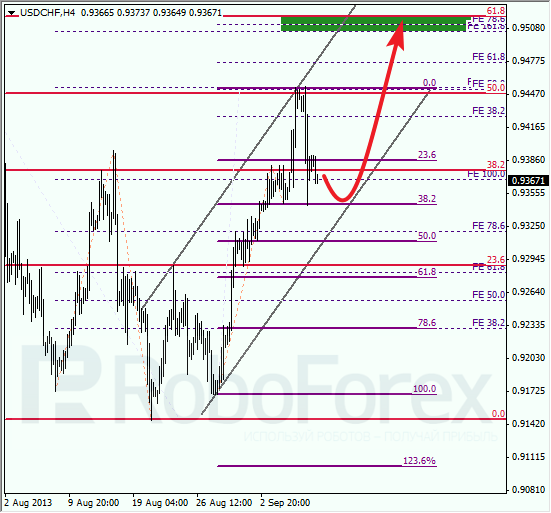 The main target is still in the area formed by the levels of 61.8% and 78.6%. 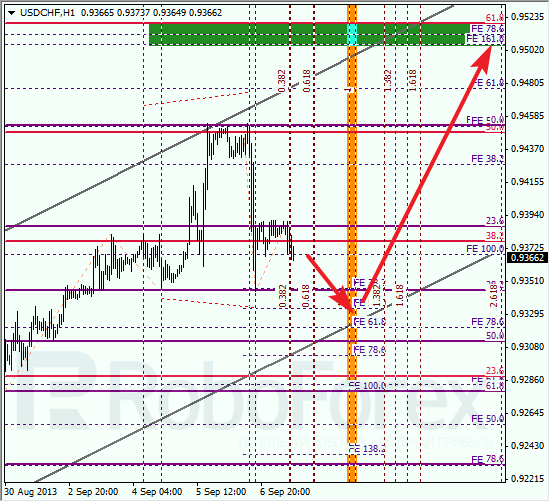 At the H1 chart we can see, that the current correction finished at the level of 61.8% (extension). We can’t exclude a possibility that the price may reach its local target during the next several hours. In case of Franc, the situation is opposite. If the price rebounds from the level of 38.2%, the bulls will resume the up trend. However, if the bears breaks this level, the market will start a deeper correction. We can’t exclude a possibility that the price may break a correctional level of 38.2%. According to the analysis of the temporary fibo-zones, the current correction may finish in the nearest future. 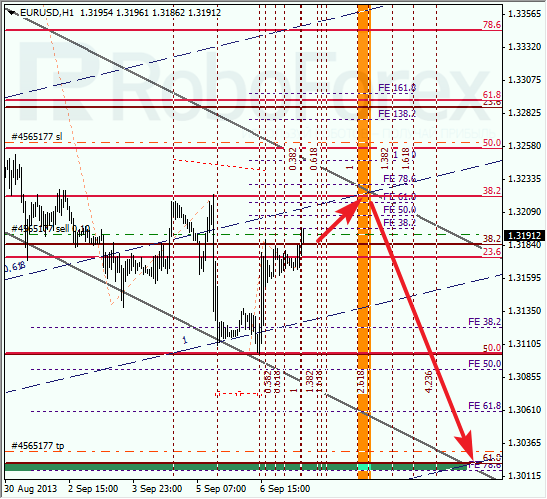 If the pair rebounds from the channel, I’ll open some buy orders.